After 16 months of renovation, the former Riverview Hotel at Havelock has been transformed and rebranded as Four Points by Sheraton Singapore, Riverview. The new hotel houses a new all day concept - Four Points Eatery, that serves up a sumptuous buffet spread as well as a delectable range of a la carte eats. An all time favourite at the former Riverview Hotel is their Bak Kut Teh ($22.80) and Slipper Lobster Laksa ($20.80). The hotel has specially retained these 2 dishes in the menu of the revamped restaurant. 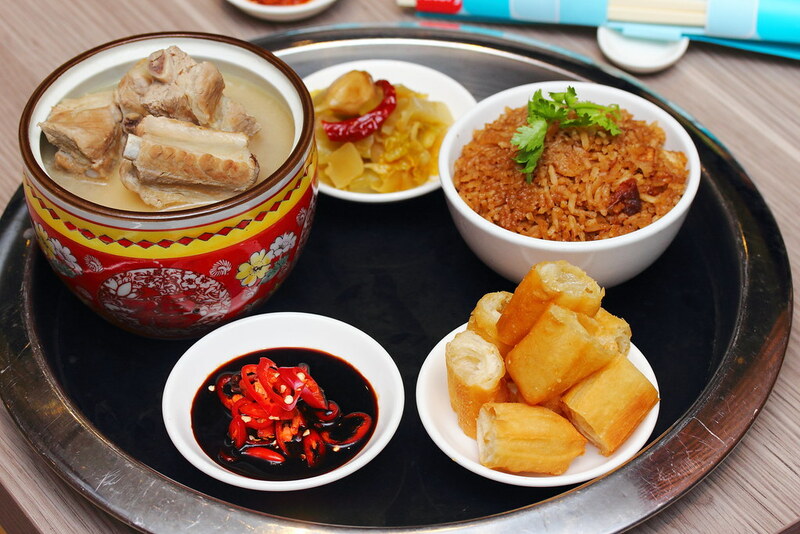 The Bak Kut Teh is cooked using a recipe that has not changed for 30 years. 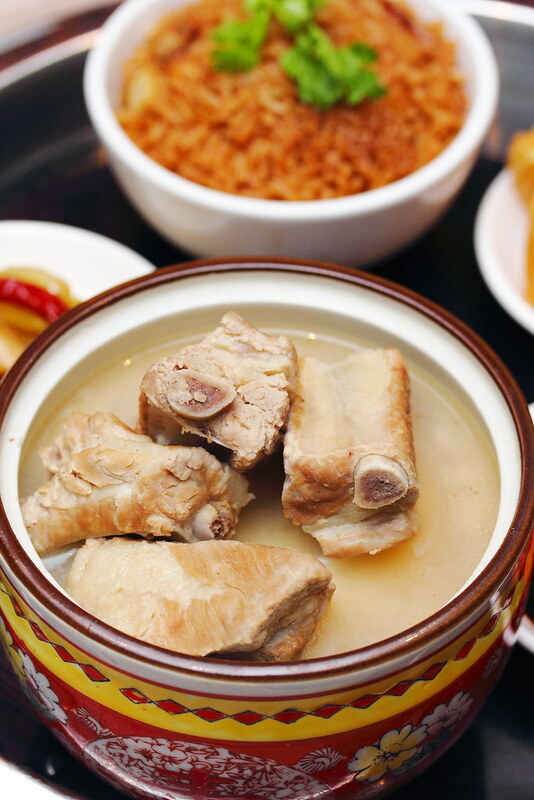 Unlike those clear and peppery pork rib soup, the soup has a cloudy richness from the marrow and collagen of the pork trotter and bones that has been simmer for a good 8 hours. It gives the pork rib soup a robust pepperiness with tender pork ribs. It is served together with yam rice and crispy you tiao. By the way, the soup is refillable. 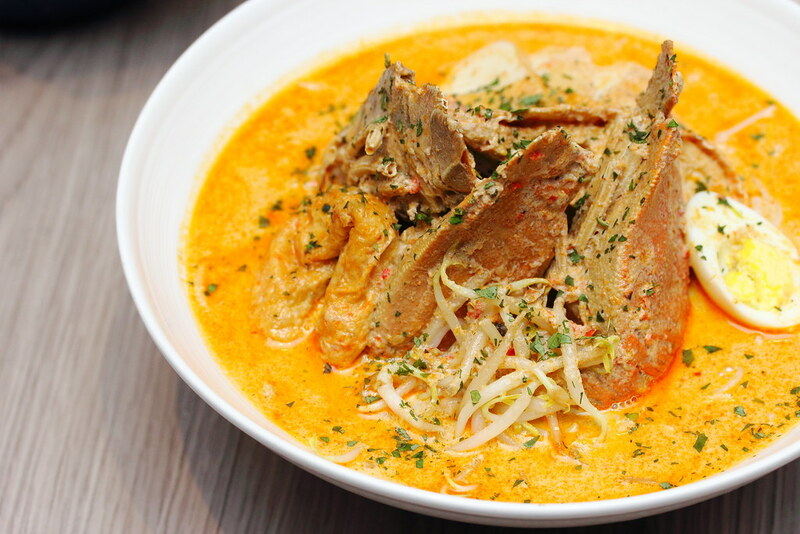 Another regular favourite is the Slipper Lobster Laksa. It comes with a generous serving of two slipper lobsters, clams, fishcake, tau pok and hard boiled egg. The full bodied coconut gravy is topped with laksa leaf for an aromatic finish. 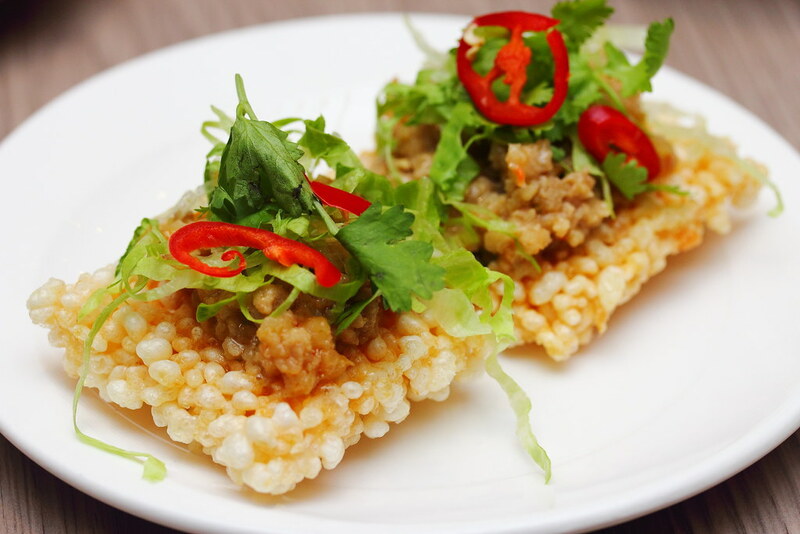 Other highlights on the a la carte menu include Nasi Goreng Istimewa, Seafood Char Kway Teow, Hainanese Chinese Rice, Tom Yam Seafood Fried Rice and more. As of 1 August 2016, Four Points Eatery will be replacing their international buffet with Seafood Buffet. 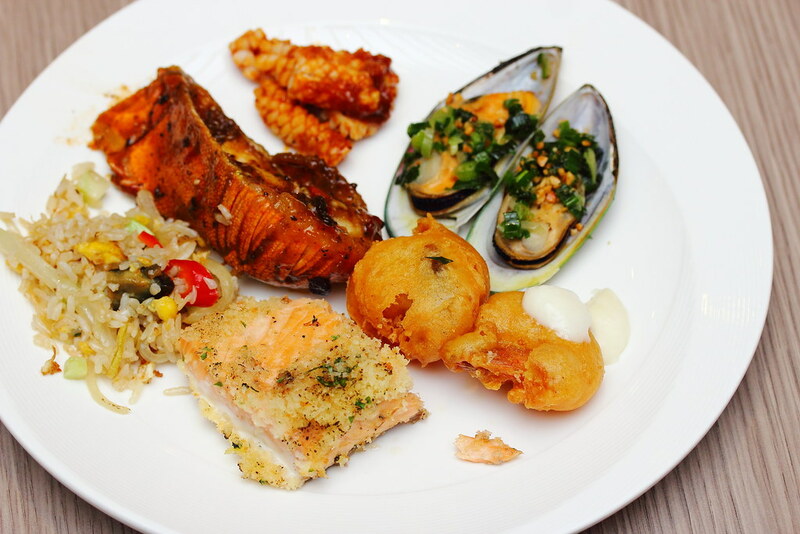 The culinary team decided to focus on seafood as this is the most valued and sough after dishes at any buffet. From the cold seafood spread, I tried the snow crab, prawn, mussel, the rarely seen spanner crab and freshly shucked oysters. Do note that freshly shucked oysters is only available duing dinner and sunday brunch. 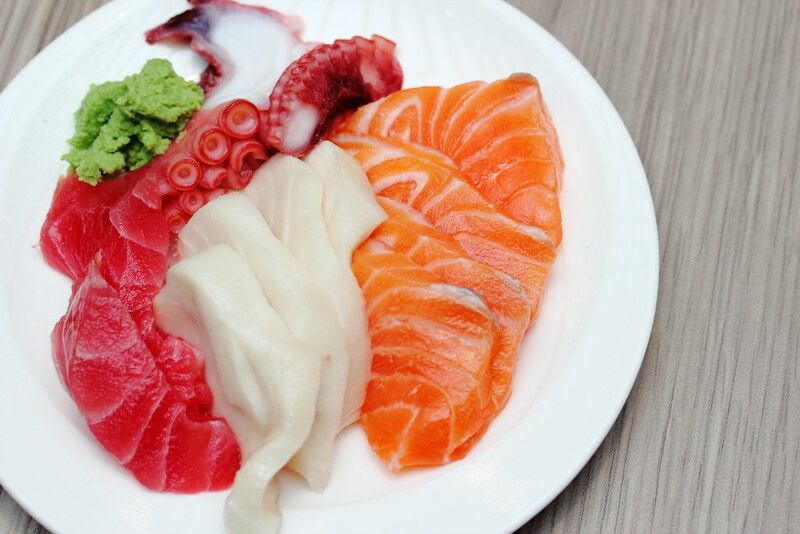 From the sashimi counter, I have a plate of fresh salmon, white tuna, tuna and tako. I like how the sashimi was generously sliced for a delightful enjoyment. 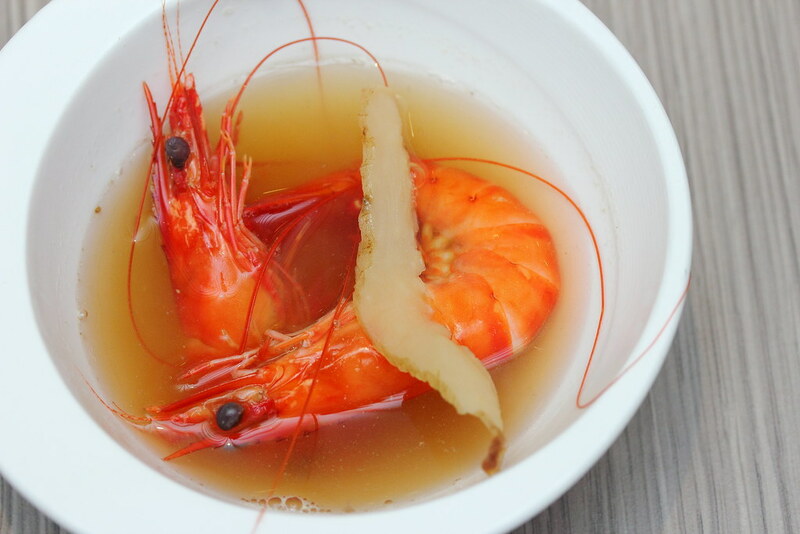 During dinner time, there is even a Live Herbal Prawns station where diners with the help of the staff can fish out fresh prawns from the tank and cook them a la minute. From the cooked food section, I tried a few dishes such as the baked salmon, deep fried prawn, black pepper slipper lobster, mussel and sambal sotong. With 80% of the buffet spread consisting of the seafood selections, instead of farm to table, the restaurant has brought the ocean to the table. The seafood buffet will be launched from 1 August 2016. Besides the seafood, the buffet will also have any staples such as noodles, rice, side dishes, vegetables and saldas. Not forgetting the dessert section to wrap up the eclectic buffet spread. 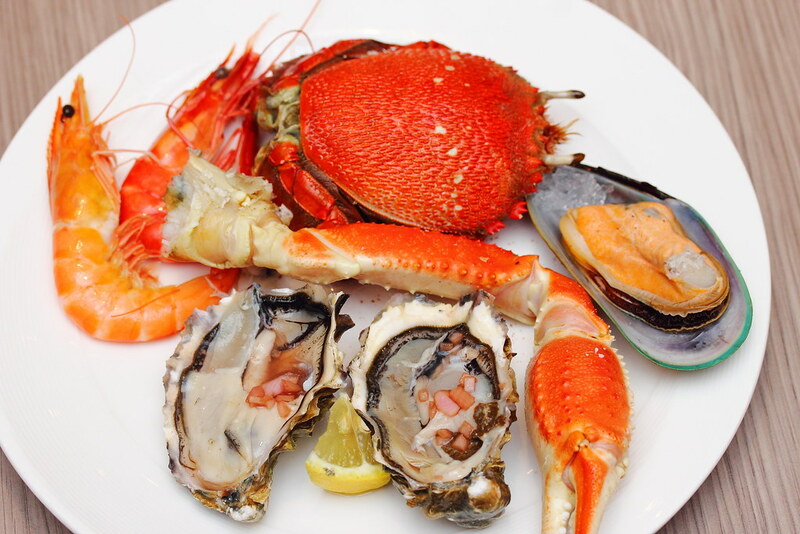 Price inclusive of oyster bar, live prawns station and free flow of soft drinks. Price is inclusive of free flow of prosecco/ moscato and soft drinks.